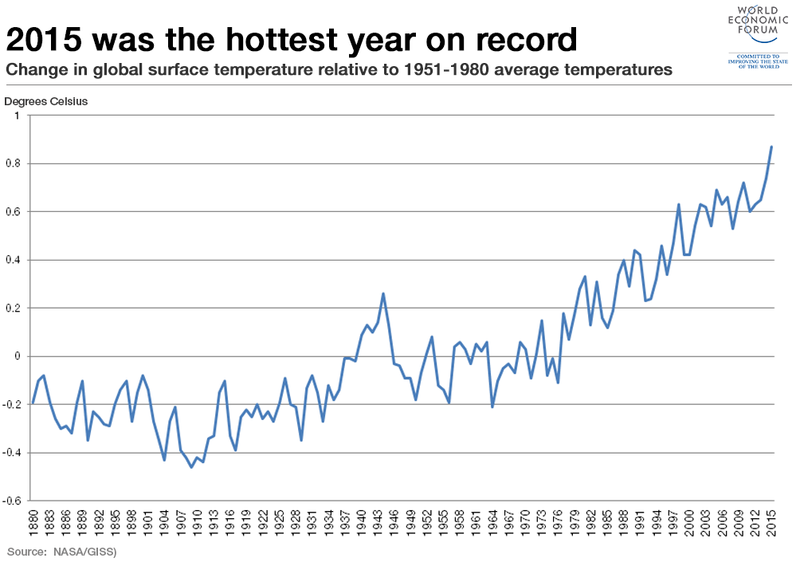 Scooper - Technology News: How can we fast-track climate action? How can we fast-track climate action? Last December in Paris, world leaders came together to agree on a set of goals and pathways for decarbonizing the global economy and increasing our capacity to adapt to climate change. It was a landmark achievement , but it was just the beginning. Every country – with the support of cities, the private sector, and citizens – must now move swiftly to fulfill its promises and bring climate change under control. The need for urgent, concerted action cannot be emphasized enough. Any delay will cause negative consequences to continue to accumulate. This will not only cause tremendous suffering, especially to the world’s most vulnerable people; it will reverberate for decades to come, making the key goal of keeping the increase in global temperature below 2º Celsius (relative to pre-industrial levels) increasingly costly. The rapid progress that is needed will require major reductions in carbon dioxide emissions, achieved through increased investment in the development and expansion of cleaner and more efficient energy. At the same time, efforts to conserve and expand carbon “sinks” – that is, the forests, wetlands, grasslands, mangroves, and sea grasses that absorb much of the CO2 being emitted – are crucial. But even under the most optimistic scenarios, it will take time to engineer a global shift away from fossil fuels toward renewable energies and to restore the world’s badly depleted ecological infrastructure. That is why it is important to pursue measures to reduce short-lived climate pollutants (SLCPs), which also cause climate change. These include black carbon or soot (the primary component of particulate matter that is also a major and growing health concern); hydrofluorocarbons (HFCs), used most commonly in refrigeration; and methane and tropospheric (or ground-level) ozone. Pound for pound, these “super pollutants” cause much more warming than CO2. Indeed, the warming impact of soot is about 900 times greater than that of carbon, and the impact of methane is about 28 times greater; many of the HFCs have a warming impact that is about 2,000 times more powerful than that of CO2. The problems caused by SLCPs extend beyond climate change. Black carbon and tropospheric ozone pollution are traditional air pollutants, which together kill nearly seven million people a year and destroy hundreds of millions of tons of food crops. The United Nations Environment Programme’s Climate and Clean Air Coalition to Reduce Short-Lived Climate Pollutants estimates that fast action to reduce SLCPs, especially methane and black carbon, has the potential to slow down the warming expected by 2050 by as much as 0.5º Celsius. Moreover, it could save over two million lives annually, while preventing the loss of more than 30 million tons of crops per year. There is reason to hope that we can reap these benefits. Under the Paris agreement, individual countries are to achieve emissions reductions according to their own nationally determined contributions. More than a dozen countries have included SLCPs in their national climate action plans. Furthermore, the Climate and Clean Air Coalition is working with its 50 member countries, as well as the World Bank and World Health Organization, to cut the super pollutants. But, to be successful, efforts must go above and beyond the Paris agreement. Fortunately, progress is being made here, too. Already, measures to mitigate HFC production and consumption are being pursued through the Montreal Protocol on protecting the ozone layer. Governments opened formal negotiations last November, and are aiming to reach agreement by the end of this year. This builds on an impressive phase-out of older chemicals, such as chlorofluorocarbons and others, that has averted the equivalent of 135 billion tons of CO2 from entering the atmosphere, while accelerating the recovery of the ozone layer. Of course, the reduction of SLCPs should not come at the expense of efforts to cut CO2 emissions. On the contrary, the world can and must reduce both simultaneously. And, indeed, efforts to reduce CO2emissions are also occurring outside the Paris agreement framework. The International Civil Aviation Organization is working to reduce emissions from air travel, having reached a preliminary agreement on the subject just a few weeks ago. The International Maritime Organization is pursuing similar goals for shipping. Warming from any climate pollutant is dangerous and sets in motion a series of potentially irreversible effects, including the continued rise of sea levels, destruction of forests, depletion of Arctic sea ice and glaciers in Greenland and the Tibetan Plateau, and melting of permafrost. Making matters worse, these effects can reinforce one another, tipping the world into a vicious cycle that becomes ever more difficult to escape. But if we act fast, harvesting fresh momentum on HFCs under sister agreements like Montreal and a growing array of cooperative coalitions, we can avoid disaster and ensure long-term economic development, including by supporting progress toward achieving the Sustainable Development Goals. Simply put, the rate of action on all climate-related emissions will determine our success in eradicating poverty and will shape the world our descendants will inherit. With governments preparing to sign the Paris agreement on April 22, there has never been a better opportunity to press ahead toward a brighter, cleaner, more prosperous future.